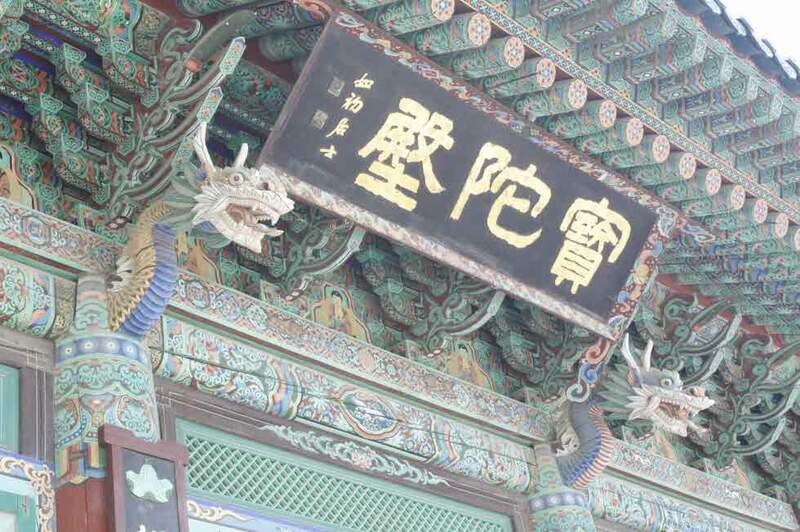 At Yangyang Intercity Bus Terminal, taxi takes 10 minutes. 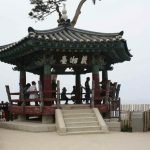 At Sokcho Intercity Bus Terminal (40 minute ride)orSokcho Express Bus Terminal(15 minute ride),take bus No.9 or No.9-1 to Mt. 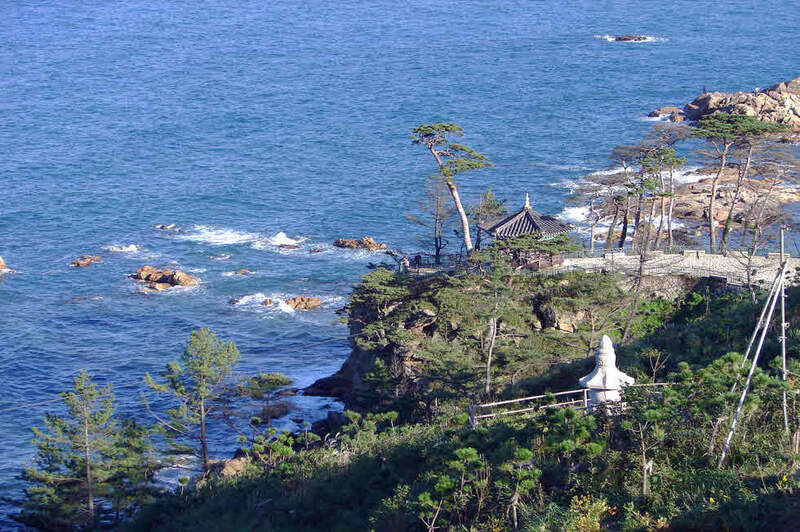 Naksansa Temple. 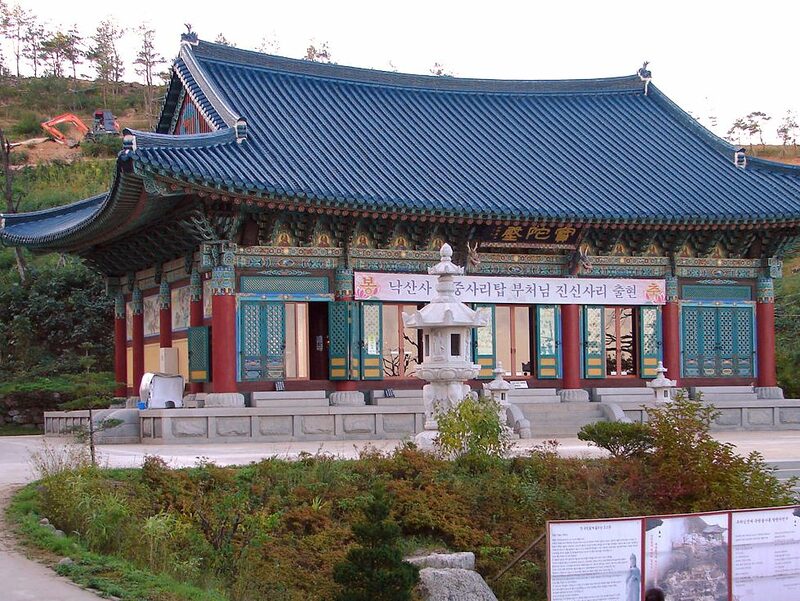 Naksansa Temple (낙산사) is located 4km north of Naksan Beach, and boasts a 1,300-year history. 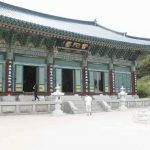 It is a temple built by Ui-Sang, the ambassador of the 30th King of Silla Period (57 BC~AD 935), and inside there is the Seven Floor Stone Tower, Dongjong, Hongyaemun, together with several other cultural assets. 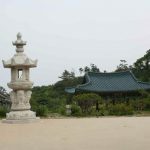 It was named Naksansa Temple by Ui-Sang, at the spot where he learned the prayer “Gwansae-eumbosal” from Bosal, after he returned from studying abroad in the Chinese Dang Kingdom. 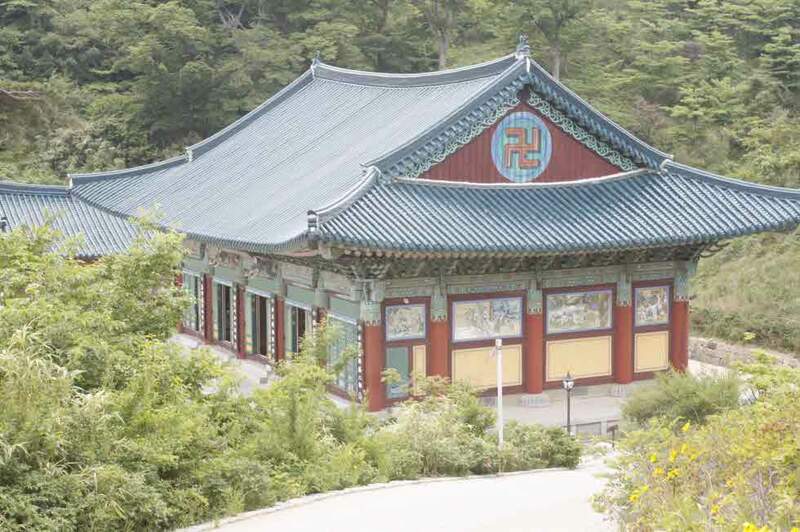 It was rebuilt several times afterwards, and the current building was raised in 1953. 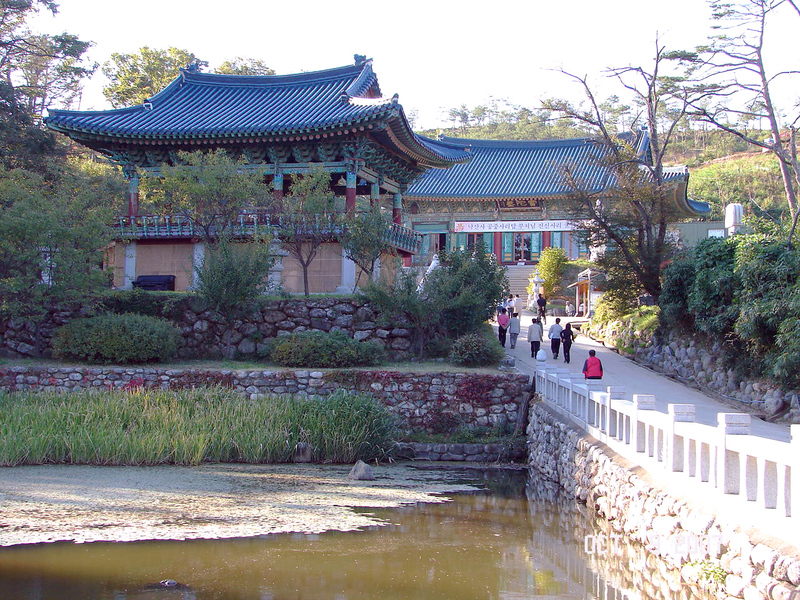 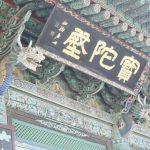 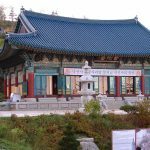 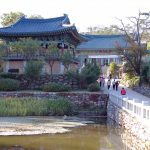 You can get to Naksansa Temple by passing through Iljumun and Hongyaemun. 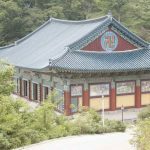 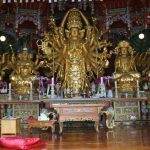 When you enter the temple from Hongyaemun, you can see black bamboo trees and tiled earthen walls on either side of the sanctuary. 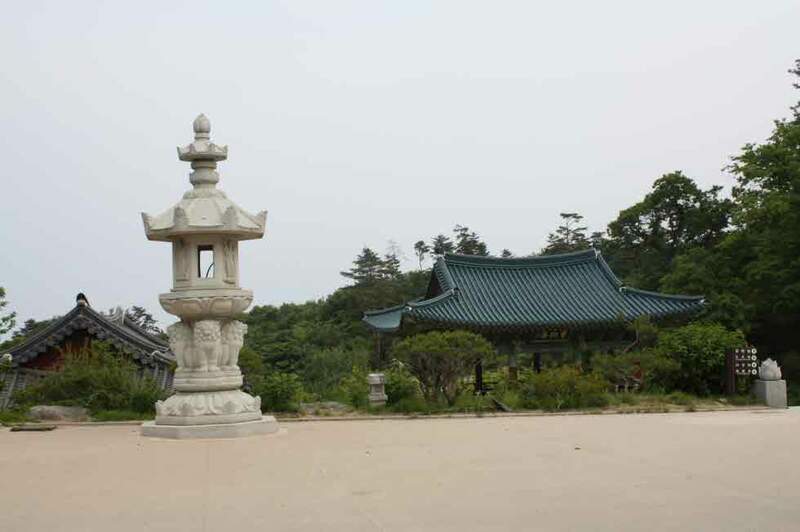 North of Naksan Beach, beside the copper bell is a back door, with a path that leads to UisangdaePavilliaon and Hongryeonam. 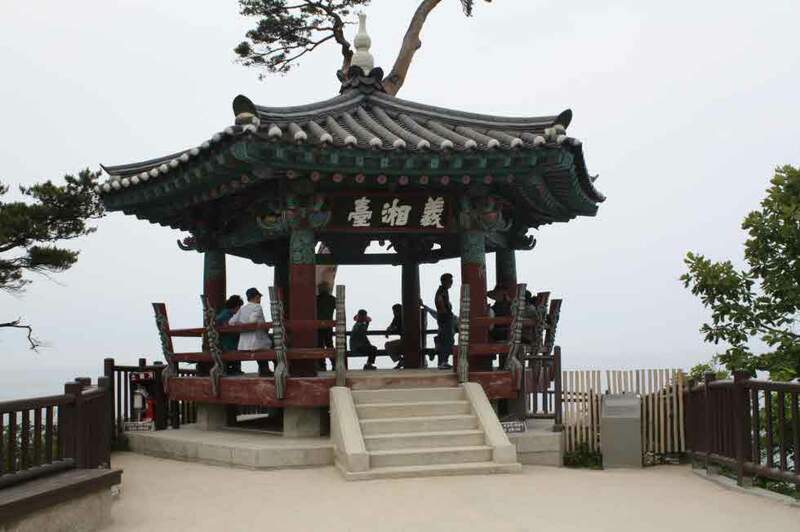 Uisangdae is a pavilion built on top of a cliff by the sea, and was built where Ui-Sang used to sit and meditate. 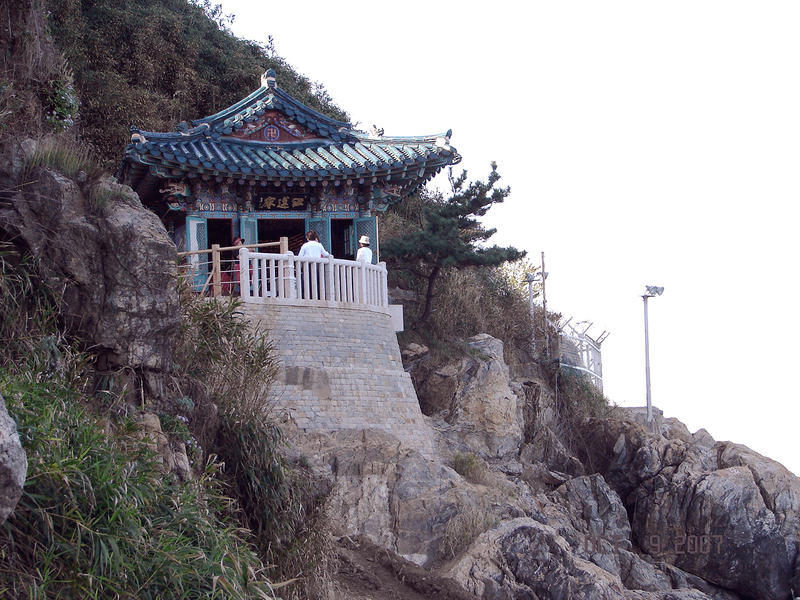 Hongryeonam is known as a small Buddhist temple, built above a stone cave by Ui-Sang. 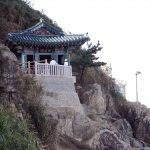 Under the sanctuary floor there is a 10cm hole, which you can peep through to view the sea. 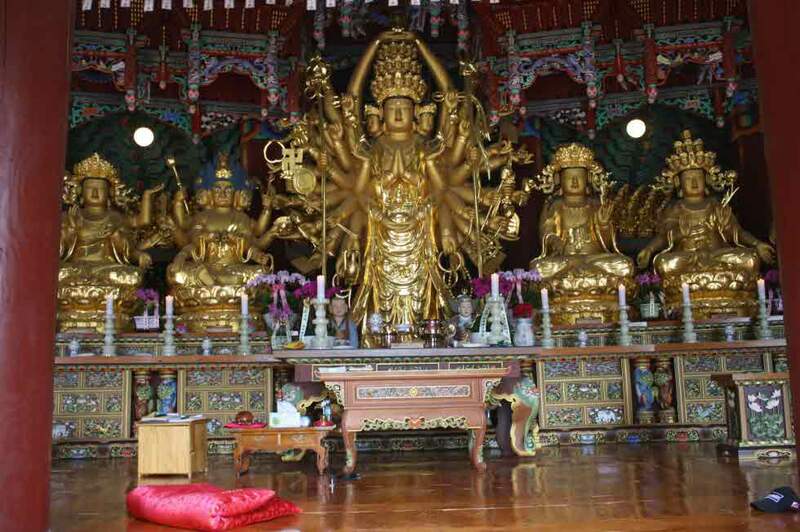 Past UisangdaePavillion, up the path on the hill at Sinseonbong, there is a stone statue of Buddha called Haesugwaneumsang. 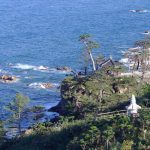 It is the largest of its kind in the Orient, and can be seen from as far as Mulchi Harbor. 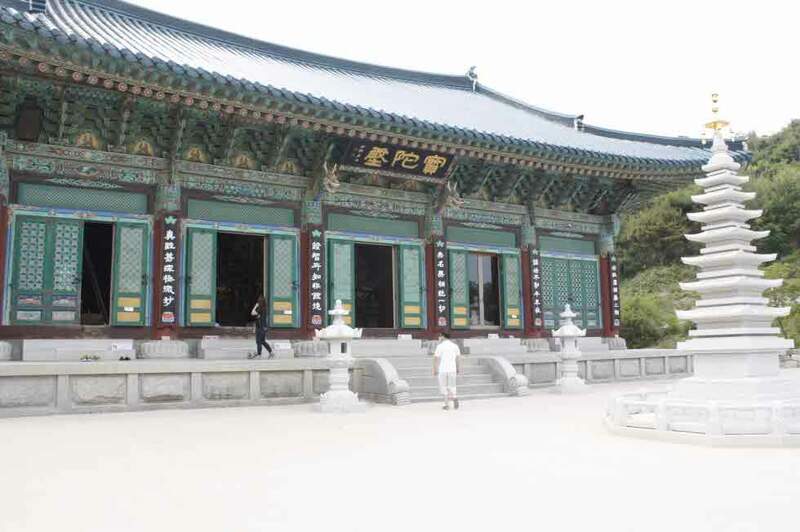 * Naksansa Temple was destroyed in a forest fire fanned by dry and strong winds on Tuesday (April 5 2005).